The creation of the AfroDigital Museum – Rio de Janeiro Gallery was approved in April 2010 by the Pensa Rio edict, which supports themes relevant and strategic to the state of Rio de Janeiro, is linked to FAPERJ, a foundation that fosters research in the state of Rio, and is coordinated by Prof. Dr. Myrian Sepulveda dos Santos, with the cooperation of researchers from various education and research institutions in the state. The AfroDigital Museum – Rio de Janeiro Gallery is associated with similar initiatives in the following universities: Federal University of Bahia (UFBA), Federal University of Maranhão (UFMA) and Federal University of Pernambuco (UFPE). These online galleries promote the exchange of data and solutions that can be shared not only by the project, but also by all those who wish to work with and research subjects such as Afro-Brazilian memory, museums, cultural heritage and digital culture. 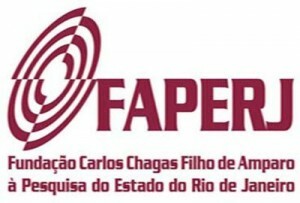 We also strive to maintain an open channel of communication with initiatives and institutions in Rio de Janeiro that contribute to the development of the aforementioned topics. The AfroDigital Museum – Rio de Janeiro Gallery is a project developed by a multidisciplinary team of professionals from various institutions, including Federal University of Rio de Janeiro (UFRJ), Federal University of the State of Rio de Janeiro (UNIRIO) and University of Northern Rio de Janeiro Darcy Ribeiro (UENF). This is an extension project of UERJ, registered at the university’s Extension Department (DEPEXT/UERJ), linked to: the Office of Education and Research at the Department of Social Sciences from the Institute of Philosophy and Social Sciences (IFCH) of UERJ; the Art, Culture and Power line of research of the Social Sciences Post-Graduation Program (PPCIS/UERJ/CNPq); and the Nucleus of Afro-Brazilian Studies of the School of Education at UERJ.